Sonarr is a badass TV Show PVR that works with usenet and torrents. Create a list of shows and Sonarr will find the relevant .torrent and/or nzb files for you. For torrents it will work with uTorrent, Transmission, Deluge and a watch directory ‘blackhole’ for other torrent clients. With usenet download clients you can use Sabnzbd or NZBGet. Sonarr renames and organizes your TV shows beautifully so they can easily be recognized by XBMC or Plex Media Server when you want to stream your media around your home. In order to use SSL with Sonarr you need another package which is not included in this guide. You can still access it through SSL outside your home network with a reverse proxy. 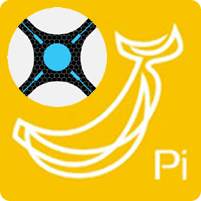 Here is a quick overview of the hardware advantages of the Banana Pi compared to the Raspberry Pi. You can see my detailed benchmarks (Raspberry vs Banana Pi Benchmarks: Do SATA and Gigabit Matter?) for more information. There are two methods, the init.d script and upstart script. Upstart can conflict with your system so attempt the init.d method first. It is a good idea to remove the Sonarr repository afterwards since it can cause future dependency issues when upgrading distros.